United We Stand and “United We Rock!” was the crowd at the Lakeview Amphitheater in Syracuse NY when REO Speedwagon, Styx and Don Felder took the stage. 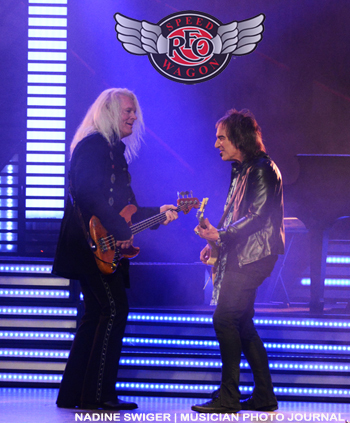 It was a night of perfection, true musicianship and Classic Rock performances at it’s finest! Distanislao (drums and vocals,) Timothy Drury (keys and vocals,) and Greg Suran (guitar and vocals.) sounded amazing as their set brought you right back in time! One of the highlights is when Tommy Shaw of Styx join him on stage, as they did a special rendition of “Take It Easy” (Tommy duet with Don both singing and playing guitar). 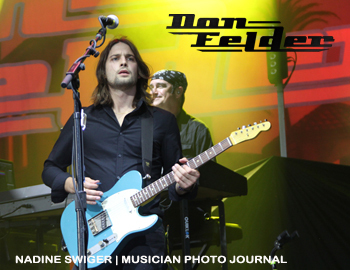 Felder closed out the night by inviting members of both REO Speedwagon and Styx to join him with a unique performance of his most popular song, “Hotel California.” That is one killer song and a fun way to end his set. 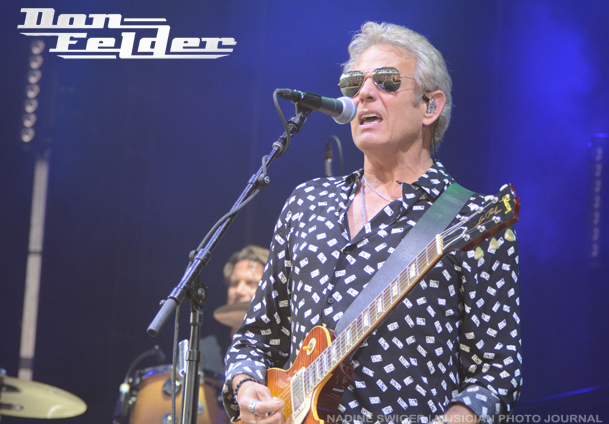 After this tour – Don Felder is slated to do eight shows in one and half weeks, at the Hard Rock Resort in Riviera Maya, Mexico (See TOUR DATES below). 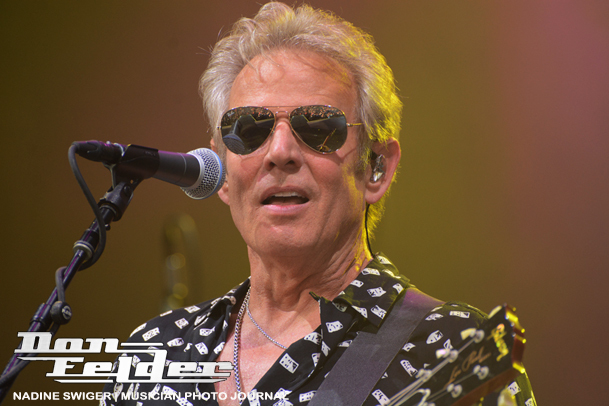 Next up was the night’s first co-headliner – Styx. 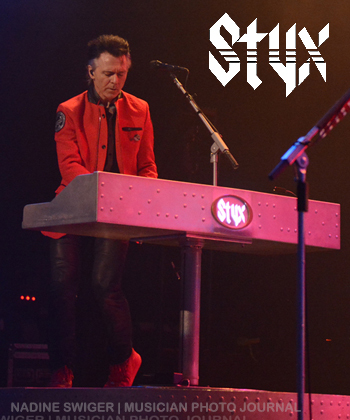 They took the stage with a bran new song “Gone Gone Gone” off their newest album “The Mission.” It’s a catchy tune that has the classic Styx sound that had the crowd on their feet! Yes, you read that correct – after 14 years Styx recently released a new album which brings you back to the “The Grand Illusion,” “Crystal Ball” era. They even took extreme measures to give you that sound as they recorded on tape (like they did in the 70’s, rather than recording digitally). It’s a concept album – taking the first man mission to Mars in 2033. It’s a musical journey that any music fans will surely want to embark on! 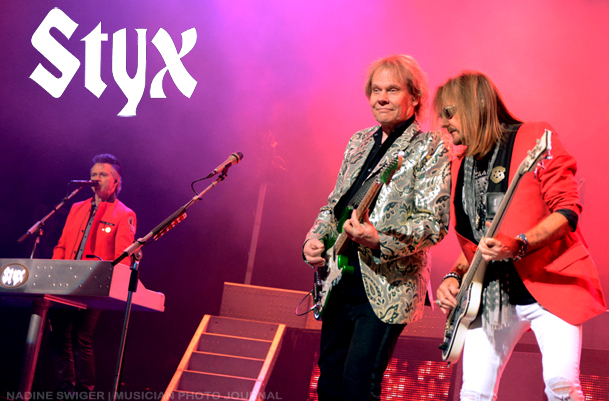 Live, Styx has incredible harmonies, upbeat energy and a spot on sound that you take notice! Knowing this of their performances every time I see them, they always surpass my already high expectations, raise the bar on what a live show should sound like, and I’m always left wanting more!!!! And from the loud cheers, the crowd agree with me more! 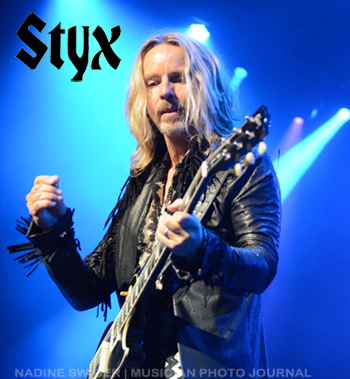 Styx will continue to tour in support of “The Mission” (see Tour Dates below). 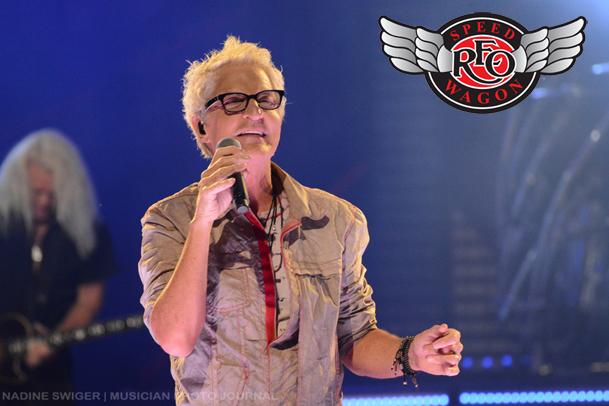 The classic rock song hits continued when second co-headliner – REO Speedwagon took the stage. They started their rockin’ strong set with “Don’t Let Him Go” and once again, the crowd was on their feet! There is one show of this tour left – Tuesday, Aug 22nd at the PNC Bank Arts Center in Holmdel, New Jersey. 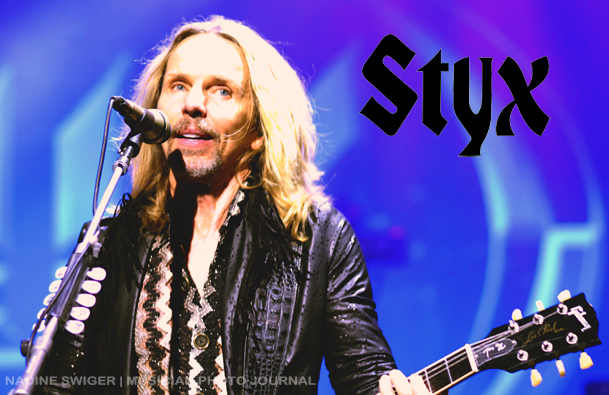 It’s a ground-breaking show as for the first time – Styx teamed up with Oticon – a company that makes cutting-edge hearing aids. Fans wearing the new Oticon Opn hearing aid with be able to stream the concert directly into their ear, in real time by connecting the hearing aid with an internet connection and their iPhones. 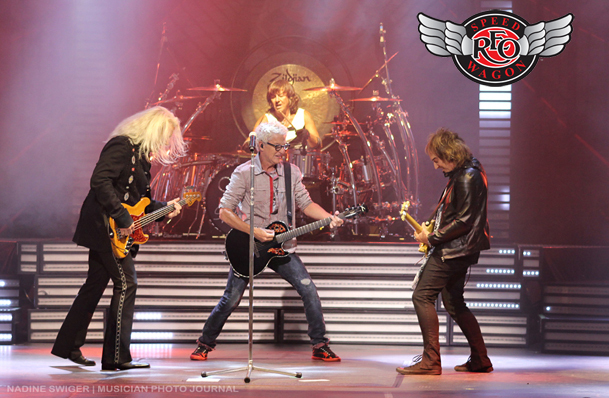 Once the tour end, Reo Speedwagon with continue to tour North American (see Tour Dates below).